Ukrinform Director General Oleksandr Kharchenko said this in Warsaw on Monday at the opening of an exhibition of drawings by Sushchenko, which he created for more than two years in prison, an Ukrinform correspondent said. "I do not know how well-known for the Polish audience is the fact that our [colleague] Roman Sushchenko is serving an unjust term somewhere near Kirov. But let us recall the old, pre-revolutionary name of this city, those lands - Vyatka, Vyatsky Krai. 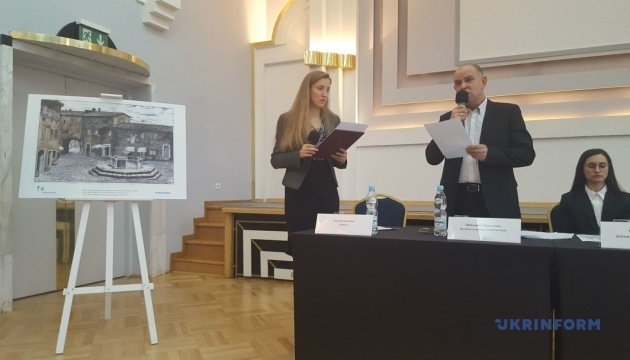 One of the traditional gloomy places of exile of the Polish patriots who fought for Poland's freedom during bloody encounters with the empire," Kharchenko said. He illustrated this idea by the stories of Polish writer, historian and politician Marian Karol Dubiecki and Polish artist Michal Andriolli, who lived in exile in Vyatka in the 1860-1870s, as well as a journalist from the times of the Second Polish Republic, Stanislaw Cywinski. After the introduction of the Molotov-Ribbentrop Pact, the Soviet invaders sent him to Vyatlag, the Vyatsky camp from the great Stalin's Gulag, where he died in the spring of 1941. 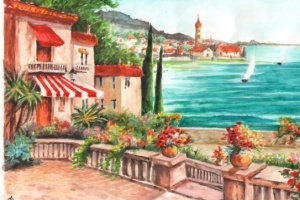 "When you look at the drawings of Roman, feel his light yen for freedom. Feel also the common features of our history, Ukrainian and Polish. The history of the invincible struggle for freedom, in which we had and have one common enemy," Kharchenko said, addressing the Polish audience. 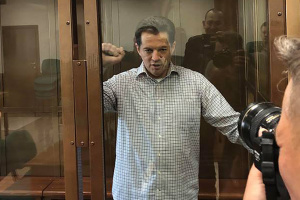 Ukrinform's Paris-based correspondent Roman Sushchenko was illegally detained on September 30, 2016 in Moscow, where he arrived on a private trip. During his stay in Moscow's detention center, Sushchenko created more than 20 drawings, and their enlarged photocopies are shown at exhibitions. Their first presentation was held in Kyiv under the title "Art From Behind Bars." The pictures were then shown at the Brussels Press Club. In addition to Poland, Sushchenko's drawings will also be presented in France.